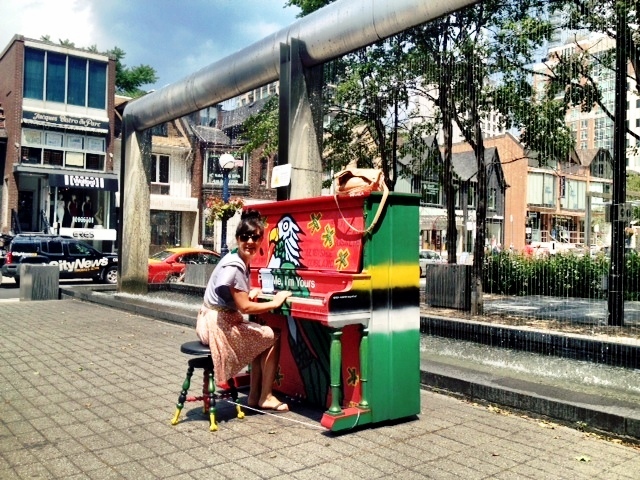 Yesterday I decided to eat my lunch in the Village of Yorkville park, and I saw a colourful piano that said “Play Me, I’m Yours.” Within minutes someone sat down and played a few great tunes, another person followed up with more music, and another! It wasn’t planned, it was literally just a piano sitting there for randoms to play. I thought ‘what an amazing idea, the city should have more of these.’ Turns out we do. 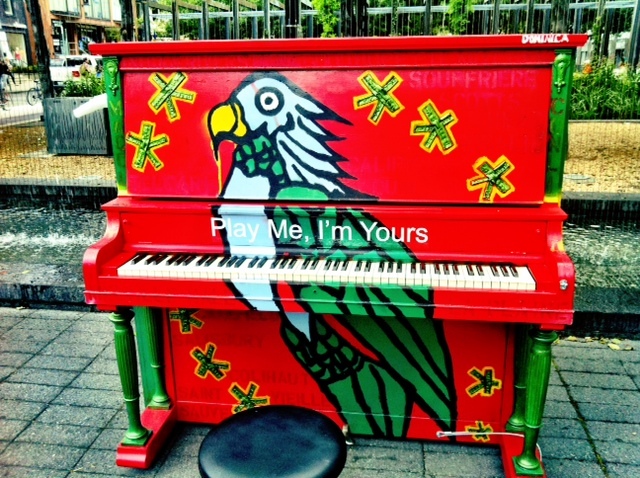 I did a little Google search and there are 41 pianos spread across the city as part of an art installation to celebrate the three-year count down to 2015 Pan American Games. You can read the full article here that was published in the Star. After I ate my burger and quinoa salad (leftovers from the weekend), I got the courage to play a tune of my own. Fact: I used to play the organ and was quite good back in the day, but I can’t read music anymore. SAD. I still remember some stuff by ear, but taking lessons again is on my bucket list. There’s a video too – just trying to figure out my iMovie. Also on my bucket list!